Skate boards, ships, and sleeping on floors… it’s outreach time! Reporting from the field. Our three outreach teams are currently on assignment in New Zealand, outback Australia, and Papua New Guinea. Three very different outreaches and countless wonderful stories of God working through committed and available young people! They are working in villages and cities, with children and the elderly, in high schools and churches, evangelizing on city streets, and encouraging local believers in small country towns. 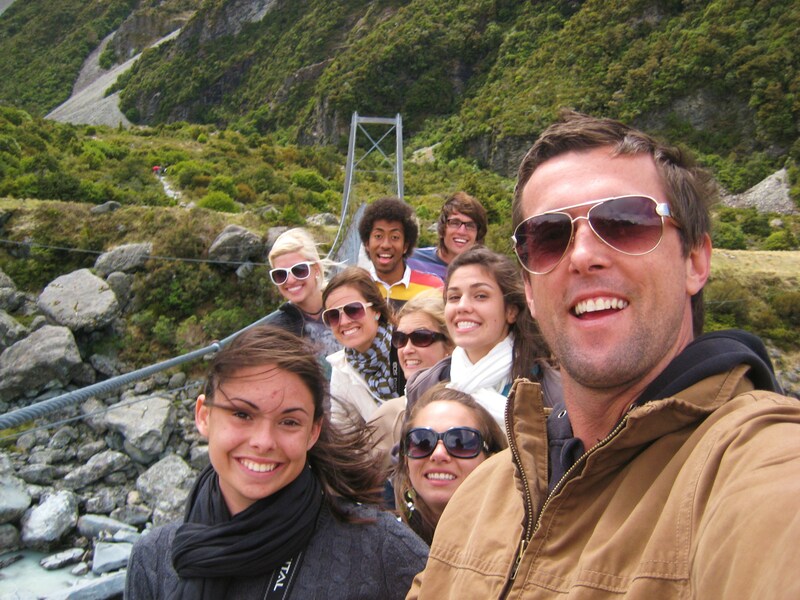 Ryan is leading the NZ outreach team and they are having a great time mobilizing young Kiwis for the mission field. (Adriel has now joined the team as well.) Thanks for your continued prayers for our teams as they’re out serving in the nations. Inspiring young people in missions. Adriel’s just finished teaching Missions on the July DTS a couple of weeks ago here in Townsville, and then again on the October DTS. It’s a huge privilege to be entrusted with teaching on a DTS for a week… and also a huge joy. There’s nothing like having the opportunity to pass on what God’s given us to other young people. Pray that following on from the teaching, many will continue to get revelation of God’s heart for the nations and will hear from Him about what missions and/or missional living will look like outworked in their lives. Training up leaders for ministry and for life. We’ve recently been given the privilege of heading up the area of staff and leadership development on base. This means leading our internship for new staff, training up ministry area leaders, helping leaders to grow in pastoral care for staff in their areas, and working to improve our overall staff leadership and development in preparation for this next season of ministry ahead. Please pray for us as we take on the leadership of this area including developing curriculum, teaching, and mentoring and caring for our leaders. WHAT ELSE IS HAPPENING ON BASE? Our first medical ship is on her way. We’re getting ready to launch the Australia-Papua New Guinea Ship Tour in February of this coming year with YWAM Australia’s new ship: the MV Pacific Link. Advance teams are busy coordinating all over Australia’s eastern seaboard and donations have begun piling in with spectacles, toothbrushes, and other medical supplies for our outreach into PNG. We’re trusting God to see 100,000 Aussie young people reached in 2010 with the message of mission and the vision that they can make a difference in the world as teams tour with the ship all over the east coast of Australia. PNG’s government is welcoming us with open arms to administer health care throughout the nation following on from the Australia portion of the tour. We’re seeing many doctors, nurses, dentists and other professionals come on board to lend a hand. It’s a huge year ahead for us. YWAM bands return from touring in America. Local skate comp brings the youth of Townsville together. Our youth ministry—Youth Street—and the local city council recently put on a weekend skate comp and music festival called Against the Grind to commemorate the opening of Townsville’s newest skate park. This was a council-funded event… but YWAM-organized and run. We were able to bring in an all-Christian band line-up to play over the 2-day festival, as well as bring in a couple of well-known Christian pro-skaters. The event also featured the “To Write Love On Her Arms” campaign and a strong positive message for the young people of our city. Hundreds of youth turned up to enjoy the weekend, and many were touched by seeing so many young YWAMers living with purpose under God. We are believing for fruit that remains from this amazing weekend.